« Music to bake by . . . I love the Konditor and Cook curly wurly cake, it’s one of my go-to recipes. 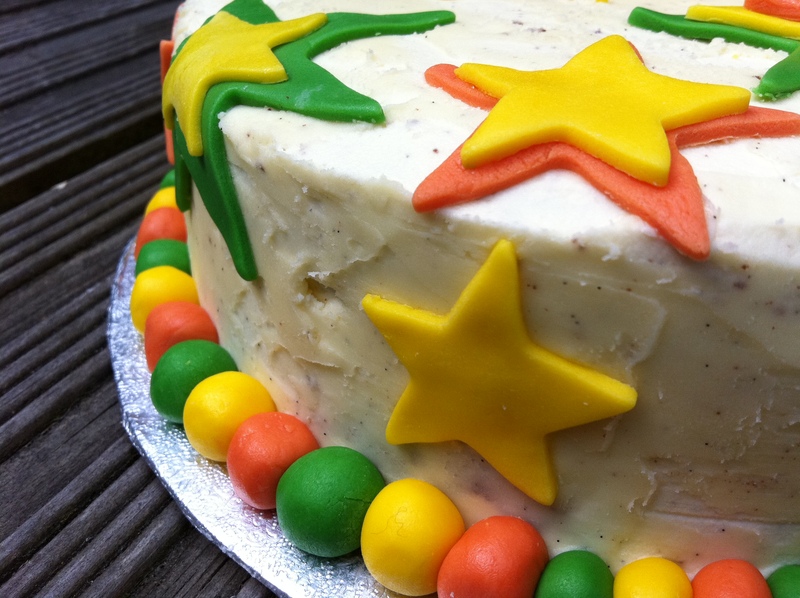 This cake looks pretty darn awesome though and I love the stars – it looks beautiful! This looks so good. I don’t have a standard birthday cake recipe and I think I might have filled a vacancy with this! Love the stars and love the birthday cake hall of fame too! 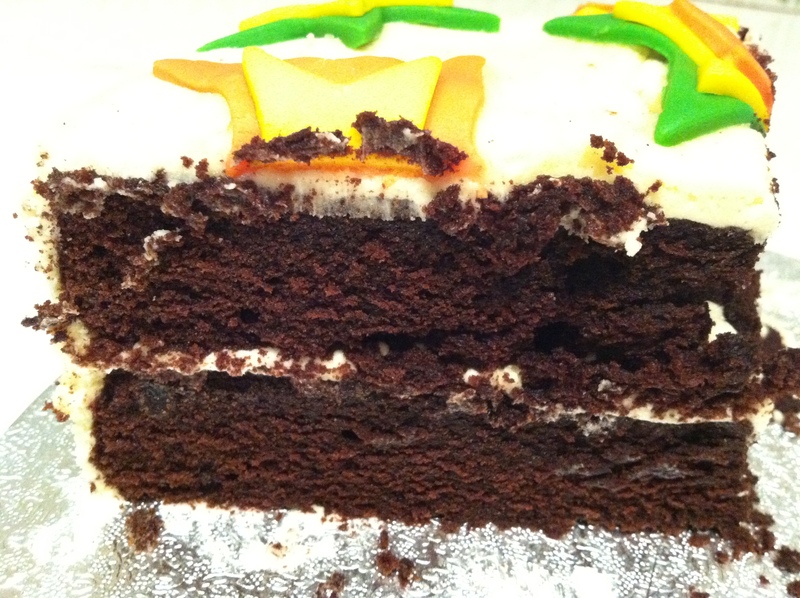 Love the dark crumbly cake with the white chocolate frosting. Magic. We always had a yogurt cake for birthdays, possibly the easiest cake to make in the world. 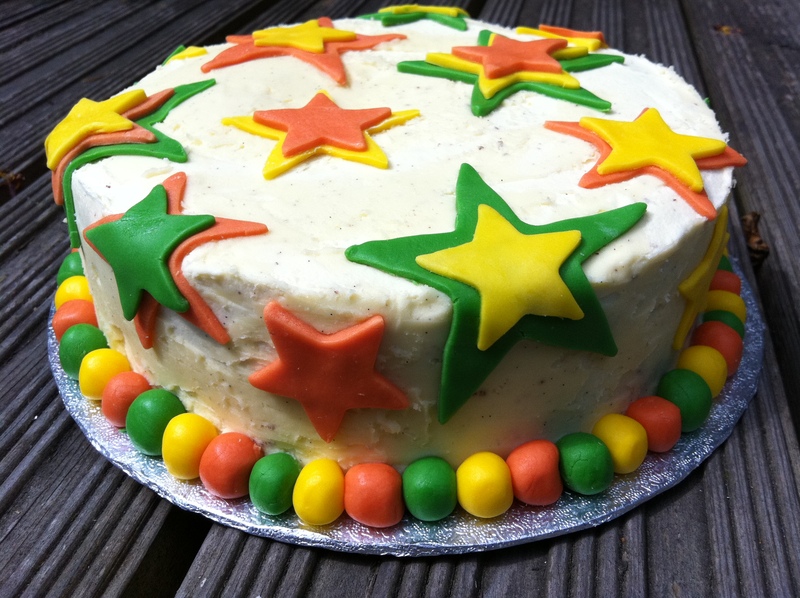 Miss South – you should always have at least one standard birthday cake recipe up your sleeve! This cake looks very yummy! I love choclate cake but since I am not very talented I just make cake from the box! I would love to do this but I am not sure how so I go the easy route and buy! I would love to learn how to make something like this for my daughter’s birthday! The Australian Woman’s Weekly ‘Children’s Birthday Cakes’ was always our go-to book. I lusted after the barbie doll with a bouffant cake skirt but never got it. Sigh. I didn’t, however, get the swimming pool cake where the water is made of jelly and the sides are made of chocolate fingers on the birthday when I cracked my chin open in the swimming pool. Oh, the irony! 🙂 hopefully this receipe will work for my boys 12th birthday, for the chocolate fiend that all boys are. It’s in oven the now, receipe was easy and thanks for including the whisking times.